Buying new servers is expensive. Getting more out of your current infrastructure isn‚t. Maximizing a server‚s installed memory capacity with high-density Crucial RDIMMs is one of the easiest and most affordable ways to make your deployments faster and more efficient. Crucial RDIMMs contain a register chip, which directs data commands and helps control the flow of data within the server. By virtue of the register chip, Crucial RDIMMs have ECC parity, which helps prevent data errors and increase overall system reliability. By installing high-density Crucial RDIMMs, you‚ll be able to maximize the performance capability of your CPUs and make your servers faster. Since memory typically functions as a fixed (non-shared) component, it‚s often a bigger performance constraint than processors or storage drives, which can be shared.Maximize your investment in server infrastructure by maximizing memory capacity. At a fraction of the cost of new servers, Crucial RDIMMs allow you to extend the life and performance of your existing infrastructure and get more out of the rack space you already have. Even if you need to replace existing deployments, you can still save by buying servers with the least amount of preinstalled memory, then maximizing the installed memory capacity with Crucial RDIMMs. 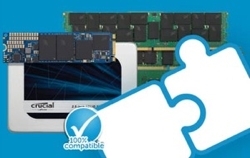 Similar to how you can upgrade a server‚s preinstalled components and choose whichever brands you want, you can do the same with memory – without having to worry about voiding your manufacturer‚s warranty. In terms of system compatibility, Crucial RDIMMs are 100% component and module tested, validated by Intel, and optimized for processors ranging from the Intel® Xeon® X5500 series to the latest Intel Xeon processor E5 2600 v3 product family. Since most of today‚s enterprise applications are stored on servers and distributed to a number of virtual machines, the amount of installed server memory plays a more critical role than ever before. Every virtual machine running on a server typically requires a dedicated amount of memory, meaning the more virtual machines you‚re running, the more memory you‚ll need. 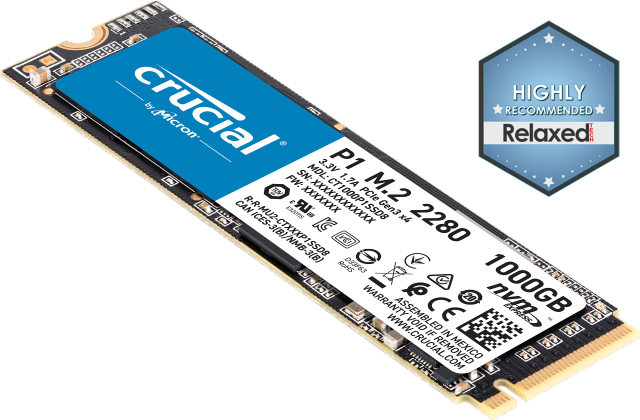 From legacy DDR modules to the latest DDR4 technology, Crucial RDIMMs are available in a range of configurations that include single, dual, and quadranked modules. Crucial RDIMMs are also available in the VLP form factor for improved airflow and cooling in space-constrained systems. When you make an enterprise-level investment in Crucial products, we believe you deserve a higher level of support. The Reliance Program offers qualified customers up to four additional benefits that affirm our commitment to your servers through service call reimbursements, on-site spares, 24/7 technical support through our direct hotline, and special bulk shipping options.